d – Start recording: stereo track, 7600044100 Hz, 16 or 32 bit. Ok, now you have a sample of one button of the remote. You should see two different tracks: you’ll have to consider just the one which looks like a “square wave”. 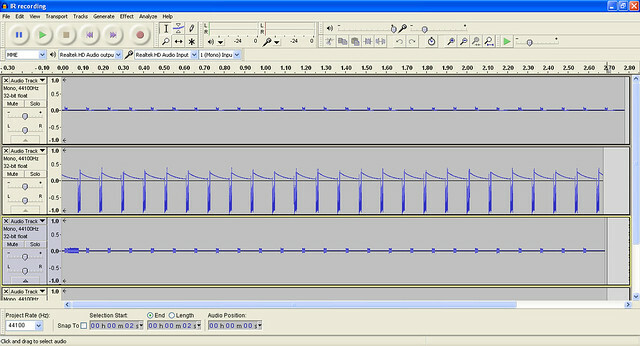 Indeed, on my audio card (VIA AC’97) sampling on one channel results in a sequence “triangles”, while on the other channel I get a sequence of “rectangles”. You’ll have to ZOOM a lot into the waveform, both vertically and horizontally, as the signal is very short (few milliseconds), and probably quite low. The meaning of squares is “digital”: if the signal is high, it means a 38 KHz carrier is present; if the signal is low, no carrier is transmitted. Remote controls use different protocols to tramsmt signals. Look at this page for details (but you don’t need to know details to complete your remote transceiver). « World’s cheapest remote control replicator: just 1$ ! Hi,mr.Jumpjak…h r u…I m a projectl lover recently saw ur this amaizing ir clone device…its working man…I m very exciting now what ever I see ir device I try…recently ir-heli 3channel is underway if I found any problem I’ll contact u….thanks again I tried on settlit rx,vcr. I didn’t understand correctly, could you send a screenshot? Anyway, you must sample in MONO, not in STEREO. i think i got the recording down. i am not sure how to add pictures to this fourm but you can email me and i will reply with a few pics or maby if you can i can send you download links to the raw files and maby you can do it for me? Can you post/upload/send pictures of the receiver you built? Are wires properly connected? (try touching them with your fingers while recording: this should be in “something” being recorded, if wires ARE connected to soundcard. Is there a place where I can get an IR recording that works for sure so i can troubleshoot my emmitter? What do you mean? Aren’t you able to sample your remote using an IR LED connected to microphone input? Yes but unfourtantly i don’t think i’m doing it right. If i had a .wav file that works for sure then i could do a digital camera test to see if i’m recording and editing wrong or building the emitter wrong. send me your file at jumpjack at libero dot it, I’ll check it for you. Which device are you attempting to control? I’m testing this on my Sony VCR but i want to control my Time Warner HD Cable box when i get this to work. I sent you an email. File you sent me lasts more than a minute against some milliseconds it should last. Maybe my raw2lirc and lirc2ledrem programs got confused for some reasons by your sampled wav file. Please send me your original sample. Thank you so much for your help! I did not notice your email when I sent my *.wav to you. 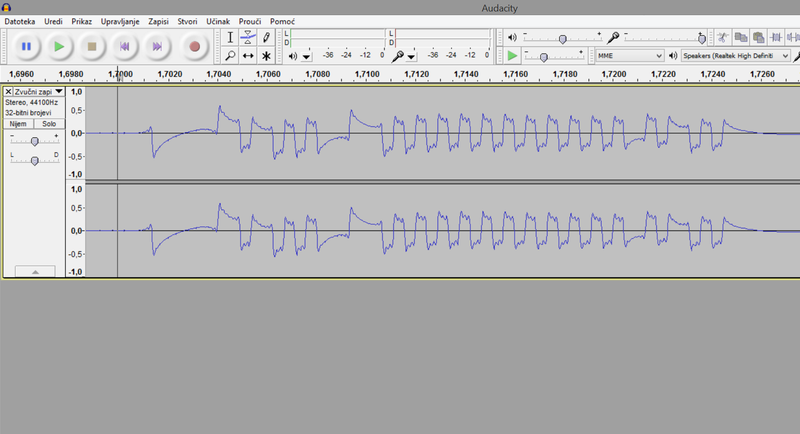 That is why I also sent an audacity project file with it. Hi!, i am able to record my signal, however, the signal is inverted compared to the graph above. Is this the same or i have to invert it to match the screenshot? You can invert the led to get a proper signal, or you have to silence the 19000 Hz tone when the signal is UP rather than down. To be sure if the LED is properly connected, look at the signal level when you are NOT pressing any button: that is the 0 level; as soon as you press the button, you must see the signal RAISING to “1” level; if instead it’s going down, you need to invert your LED. I was wondering if you might be able to help me out with something. I’m looking to directly connect the IR LED leads on the transmitter, to the circuit board that has the IR receiver. I want to do this so that instead of communicating using infrared light, I would have a wire connected directly from my computer’s speaker port to my toy car- sending signals straight to it. In picture 1, I have the opened up IR transmitter with the IR LED still connected. In picture 2, I have the IR Receiver (sensor), which has 3 pins, and which I’m not sure what each is for. Then in picture 3, I have the IR Receiver (sensor) above the circuit board of where the connections are supposed to join (though I clipped them off). Please let me know how I could get this to work. My end goal then is to play the IR audio files directly from my computer, which would run via a wire straight to my toy car, and which could then control it. Thank you so much in advance!!! I appreciate any help that you could provide me with. I’m sorry but I don’t thin it is possible: your receiver has 3 leads rather than two: this means it’s not just an IR receiving diode, it also includes some circuitry which decodes recevied IR singnals into something the RC car circuitry can understand; in other words, no “waveforms” comes out from the 3 leads, but rather some digital signals, totally different from waveform you transmitted to it. Hi,thanks for posting the article. I am able to record the signal, but the signal appears sinusoidal on one channel and a series of spikes on the other.Please let me know which of the two signals I’ve to use. just the sinusoidal one, discard the “spikes” one. could you please point to the waveform you are referring to? I followed the procedure further and generated a .WAV file but unfortunately its not working. Second track looks good; other track shows just interference of one wire on the other. hi , i’ve built the receiver , connected it, started recording. Then pointed the remote control and got some sort of signal. After Zooooming in , i found only triangular waves that looks like this.. i’ve tried another remote and still the same results. I think you’re recording the wrong channel or keeping the remote too far from the receiver (they must be just a few centimeters apart). you have see 3 wires in your receiver, and you used only 2 of them. Wires are GND, Left and Right. If you sampled over GND+Lef, try GND+Right. Hi, I saw the LED light on, does it means that my detector works? 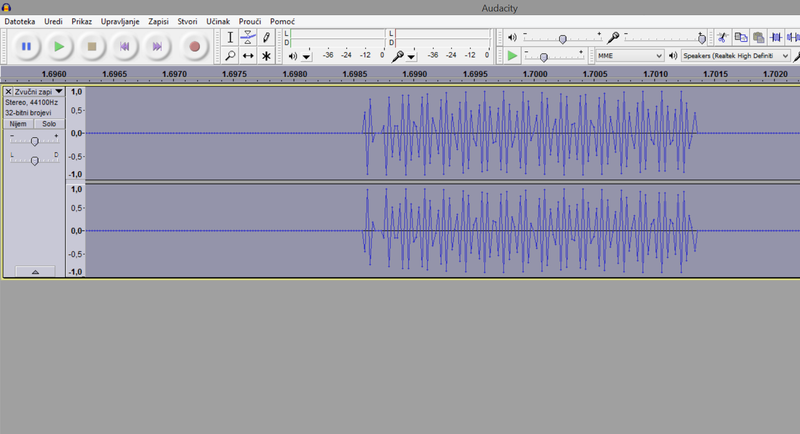 however, i see no wave pattern in my audacity recording. You should see the LED on in the EMITTER, not in the receiver! I’ve built the same thing to control my NEX camera but I can’t get it to work. Also, while reading other comments here – it looks like I CAN “sample” the existing remote using microphone input on my computer – it shows me the signal when I press button on the remote.. Please send me both one recorded signal and corresponding synthesized signal (.wav files). Plz confirm sampling 76000Hz or 44100Hz …as i am failed after doing same steps as you given here. i used 44100Hz, 32 bit…. but my .wav file not working. Please send me your original and your generated .WAV and I’ll take a look. please give me your email id…….. Thank you very much for such a wonderful tutorial and your support……I appreciate all of your hard work and effort. Yes: find a girlfriend and stop spamming. 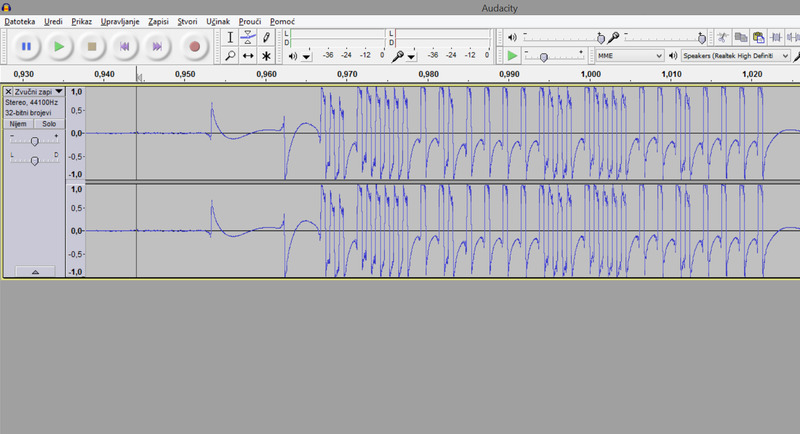 I tried recording both mono and stereo, 44100Hz, 32 or 16 bit and it always looks like this. Cable has 3 wires, red, white, yellow. I assumed red is right, yellow is left and white is ground. I connected + on red wire, and – on white wire. I tried using yellow instead of red and it doesn’t produce any signals. I even put new batteries in my remote controller and distance from controller and my IR receiver is less than 1 cm. TV is Phillips, and I’m trying to capture power button. I think you are using the wrong wires! The signal is there… but it’s so weak that I think it’s just magnetic induction for the OTHER wire. Try all combinations of the 3 wires: A+B, B+C, A+C. Additionally, to record you need just ONE led, not two. Do they look good to you? 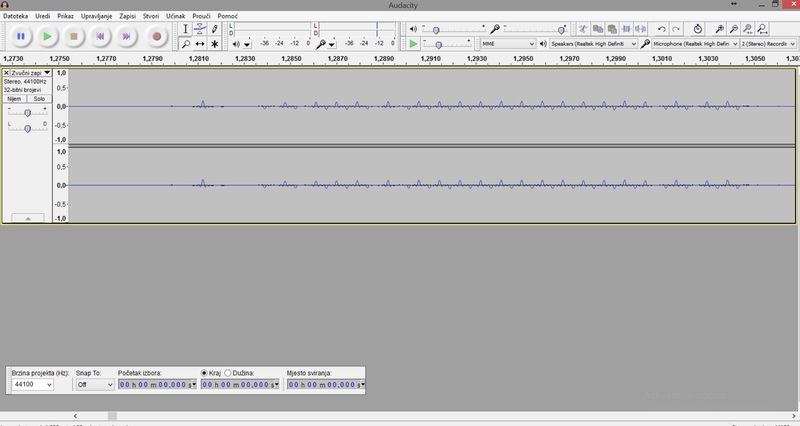 When I built emitter, and play the sound from audacity, TV doesn’t respond. I placed my emitter 1cm in front of TV receiver. My emitter is connected like you described on the last step of this tutorial. As for the discrete power on command, I’m currently trying to record only power button, but I need 4 more buttons recorded, so I don’t think discrete power on command will help me. I think your signal lacks the initial parts (a long “high” signal). Try considering the 4th or 5th burst rather than first one, to give the signal the needed time to get stable. Anyway your batteries do not look that good, signal appear not able to stay high for so much time in your sample. Thanks again for helping me. I really appreciate it. This is like the 7th signal burst. I even changed cable, I took an old headset instead of that extension 3.5mm cable I was using. I can’t seem to capture on my smartphone camera a violet ligth from my emitter. I see it very bright coming from my TV remote, but not a single flash of infrared light from my emitter. Where red wires coming from lego brick are -, yellow ones +. Is it possible that there is something wrong with LEDs? They can capture the signal, but not emit? Thank you soo much, you were very helpful! 🙂 I don’t know why I kept getting weak signals, but manual editing like you showed me in your last comment is working. It would be also interesting to check if modern smartphones and PCs are capable of playing a raw 38KHz wave and thus controlling devices using one single led. 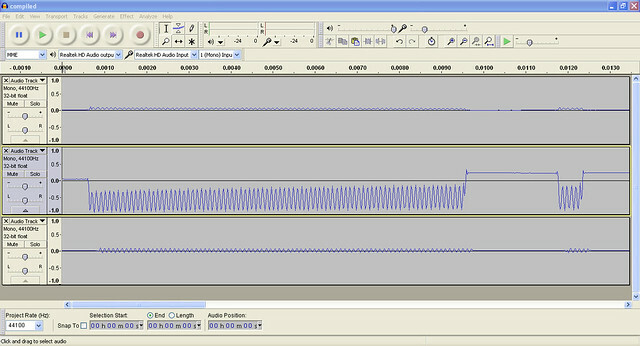 I didn’t test tansmission, but my PC can sample at frequency high enough to see the 38 kHz carrier. 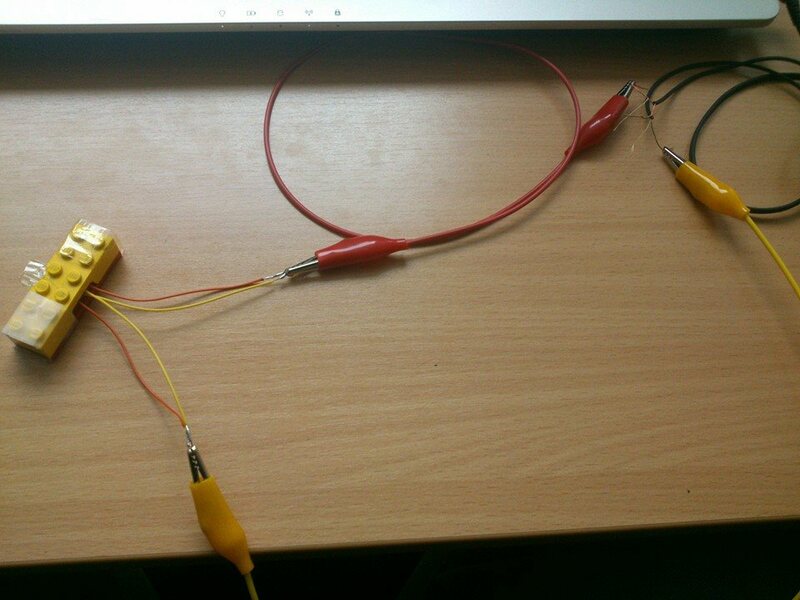 I just tested emitter with one single led and it’s working on my PC. I haven’t tried it on smartphone. On a side note, playing signal in Audacity works, VLC and Windows Media Player don’t work, Windows8 app “Music” is working, and Chrome play wav perfectly, so now you can control your TV through a website (HTML5 audio player with wav as source). Hello, can you please help me.. I`m not able to get the signal..!! How to connect the earphone wires..??? You can use android as remote if you make IR remote and download Zaza remote app from play store.